Originally starting out as a Celtic Brittonic fort known as Din Guarie (circa early 5th century AD), the site of Bamburgh Castle was historically contested between the native Britons and Anglo-Saxon newcomers for decades; finally passing on to the latter’s ownership in 590 AD. An excavation project carried out last summer has revealed an exquisite fragment of this Anglo-Saxon legacy (in the castle), through the discovery of an intricately crafted copper bird, dating from 8th century AD. 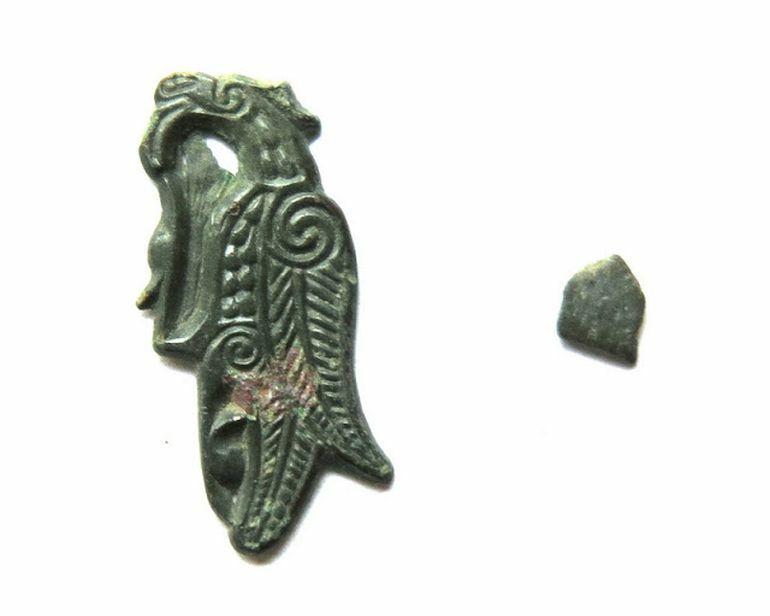 According to the experts from Bamburgh Research Project, the decorated artifact measures just 23 mm by 12 mm, and yet manages to deftly depict the zoomorphic representation of a bird, thus alluding to a rare specimen of early medieval North European art. The archaeologists, on preliminary analysis, have already suggested that this bird mount is unique “with no direct parallels”. As for its style, the artwork was possibly influenced by the bird of prey motifs of the earlier 6th and 7th centuries. The find, excavated by Harry Francis, was recovered from a cobbled surface revealed at the base of a narrow trench that was excavated to identify the next occupation surface at the southern part of Trench 3. This was revealed as a well constructed surface just centimeters below the well dated 9th century metal working building. 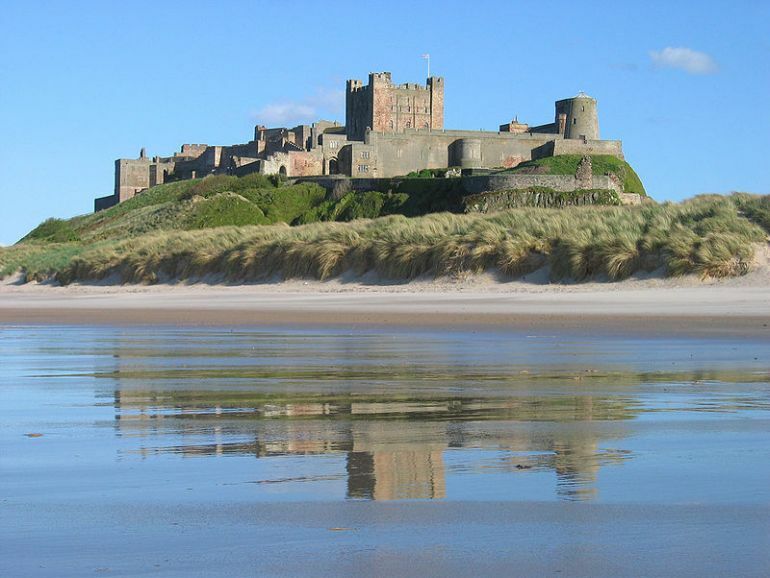 Now historically, the Anglo-Saxon palace fortress at what is now Bamburgh Castle (the core of which was later built by the Normans), was an important center for metal-working under the suzerainty of the Kingdom of Northumbria. In fact, the latest excavation has resulted in the unveiling of evidences that suggest that the site was used for making the weapons and armor for the warriors of the royal court. In summer 2017 we will continue our investigations of the find spot and we hope to discover if it represents an earlier period of metal working or some other activity. At the moment our investigation of this horizon is at such an early stage we are unsure if the find came from within a building or from a yard surface or path where it may have been dropped. We are very much looking forward to getting back on site and continuing our excavations. Lastly, in case one is interested, the archaeologists are expected to compile their findings and release a short publication by the end of 2017. In the meantime, Bamburgh Castle will be exhibiting (until 29th October) many of the recent discoveries of Anglo-Saxon origin, ranging from the aforementioned copper bird, pattern welded swords to ostentatious gold work.